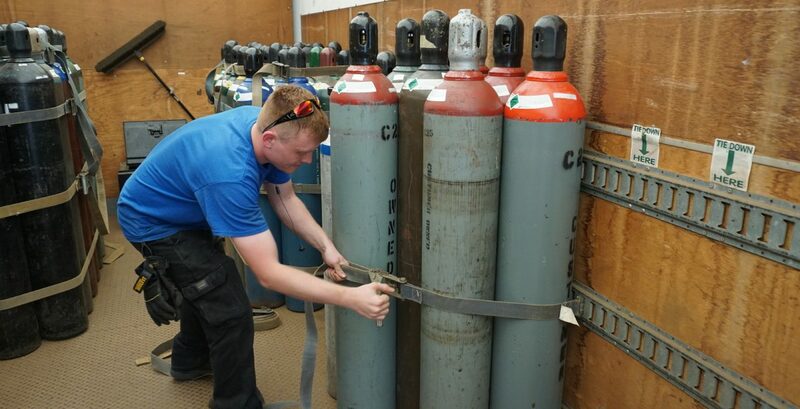 Compressed gas cylinders are heavy and contain gases that could potentially be hazardous, so it is necessary to handle them with the utmost care. Knowing the ground rules and precautions to take when working directly with compressed gas cylinders will greatly minimize the risk of injury via a dropped cylinder or a gas leak. Below, we’ll dive into some essential safety guidelines for visual inspections, in-house transportation, storage, temperature, and using the correct fittings. It is the supplier’s job to visually inspect for dings, dents or gouges, however, it is always important to double check that there isn’t any visible damage – corrosion or dents – to the cylinder or its valves when receiving a delivery. Never accept a cylinder if you hear hissing or smell any fumes – it is defective. All bottles are required to have a label of the contents. Many companies use different colors to label cylinder contents, but gases should never be identified based on color alone. Different companies use various color-coding systems, so be sure to determine cylinder contents based on the label itself to avoid any false identification of gases. Whether in transit, in use, or in storage, cylinders must always be secured by straps with the valves sealed. Never drag, slide, drop, knock cylinders together, or try to catch a falling cylinder. Never use as a roller to move other equipment or pull a cylinder by its valve or it could loosen. All of these situations could lead to injury or damaging the cylinder or its valve, resulting in leaks and exposure to gases. When moving or lifting, always use an appropriate hand cart, cage, or cradle with the cylinders properly strapped in to avoid them from falling. Secure valves are essential to preventing leaks. Remove a valve cap only after a cylinder has been safely moved. After securely installing a hose or fitting, always keep the cap nearby so it can be put back on to move the cylinder. Check valves before and after transporting, and be on the lookout for any dirt, rust, or oil that could enter the cylinder. 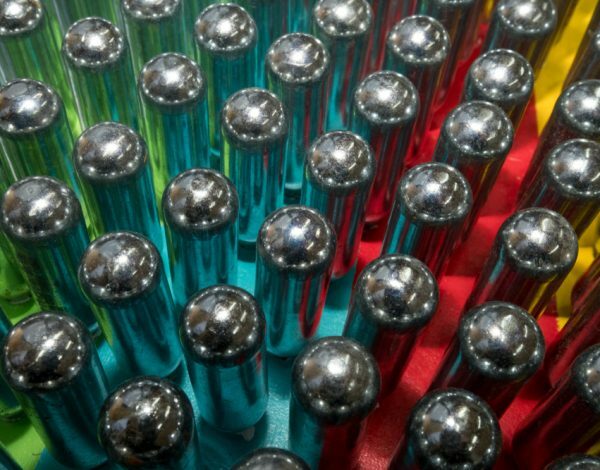 Although gases don’t really expire, a first-in, first-out rule should be implemented in your storage system as a way to monitor the fill levels of each bottle. Full cylinders should be labeled and separated from empty ones. Since most cylinders are rentals, they should not be written on. For this reason, we sell various tags and labels to make this process easier for customers to decipher contents and fill levels. It is recommended that you only store the required amount of stock needed for your specific application. We suggest that storage areas be monitored by authorized personnel only, and away from high traffic areas and emergency exits. Trained employees should inspect the cylinders weekly for damage and leaks and oversee the atmosphere of the storage area for things such as moisture and excessive heat or flame. 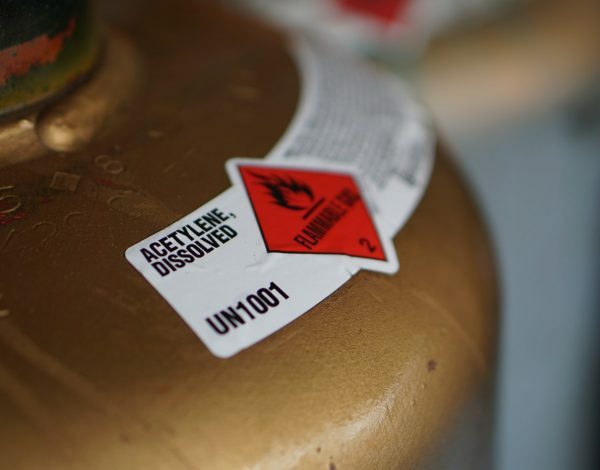 Always keep cylinders strapped in and stored upright, especially gases like Acetylene, as it is dissolved in acetone and its components should not be mixed. Under no circumstance should a cylinder be left on its side, or should they be arced during welding because it becomes extremely unsafe. Keeping cylinders vertical will prevent cylinders from rolling, which could cause damage to other cylinders in the storage area, as well as to workers. Keep in mind that storage areas also require proper ventilation depending on the types of gases used in your application. If there are any leaks or if valves release small amounts of gas to reduce pressure buildup, you may need hoods, vents, ducts systems, air cleaners, or exhaust fans to prevent the fumes from being inhaled. It may not be necessary for the use of inert gases, but nonetheless, it is important to understand the health hazards of the gases you are working with. Heat, chronic moisture and poorly ventilated storage areas are a disastrous combination. Keep cylinders in a dry, cool, well-ventilated area, away from direct sunlight, weather, and combustible materials to reduce the hazards of increased heat and pressure. The storage room itself should remain below 125 and above -20 degrees Fahrenheit, and cylinders must be kept at least 20 feet away from open flames and electrical circuits, as many gases are combustible at high temperatures. If cylinders do become frozen on the surface, warm water is the best resolution to handle the situation but avoid applying heat directly. Valves can be difficult to open and close, but they should never be handled with excessive force, as it could damage the valve. Never tamper with valves or fittings, but instead use supplier recommended sealants and lubricants. If a valve or hose appears to be damaged or leaking, contact your gas supplier or line maintenance company immediately for advice on the proper procedures to take. The purpose of different valve outlets, hoses, and fittings per gas is to prevent equipment from being used with incompatible gases. Certain properties do not mix with certain types of metals or alloys; some are even combustible or corrosive. For example, Acetylene becomes explosive when it is in contact with mercury, copper, and silver, so alternative materials must be used. When purchasing cylinders for your application, acquire the safety data sheets needed regarding the gas properties and which fittings are compatible, as well as the cylinder pressure regulations of each compressed gas. Contact the supplier directly for any pressing questions or advice in regard to fittings and sufficient gas pressure. Rocky Mountain Air does provide special cylinder services that include recharging fire protective equipment at our Salt Lake City location, where we also test our own cylinders both hydrostatically and ultrasonically. We are able to offer repairs on-site at both our Salt Lake City and Denver locations. At our Denver location, we work with other local cylinder testing companies that are compliant with DOT requirements. 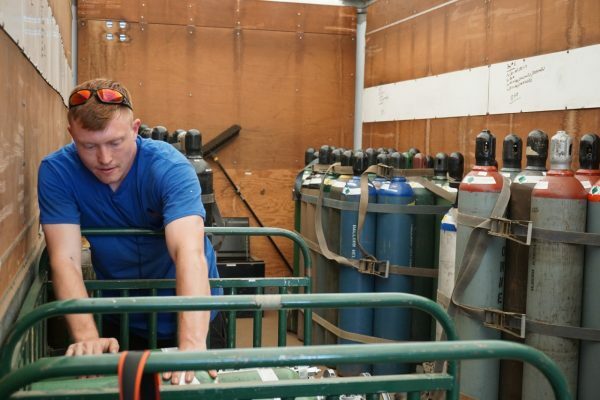 Through RMA, all types of cylinders and tanks can be hydro-tested, including medical, beverage, SCBA, SCUBA, welding, paintball, aviation, refrigeration cylinders and fire extinguishers. Not only that, but we supply our customers with safety supplies and storage depending on your needs. This includes the equipment to bolt cylinders to the walls for safe storage practices. At RMA, we value your safety and that you are implementing the best practices for cylinder safety in your workplace. If you have any questions regarding our services or cylinder safety, please contact your local branch (Colorado, Utah, Wyoming, Idaho, Nebraska) today, and read up on our previous blog about cylinder and fire extinguisher maintenance here. 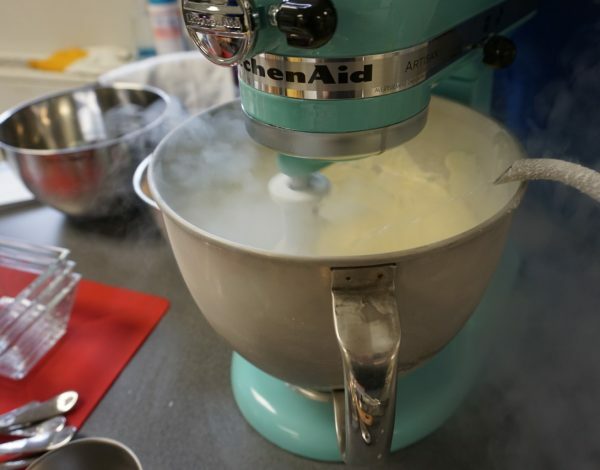 The Coolest Way to Make Ice Cream? Using Liquid Nitrogen.